Erica Louise is a blogger after my own heart – We share the same ethos in that good design doesn’t have to be about the latest and greatest mass produced product sourced through cheap label and that ends up contributing to landfill once the next fad comes in. Over at my own blog State of Green we share all sorts of eco lifestyle tips, and today I am privileged to share an eco fashion piece with you. 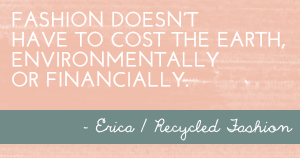 As you know from Erica there are so many fantastic recycled fashion outfits being designed by savvy sustainable fashion designers – It’s just knowing where to look and fortunately great pieces are becoming easier to find. 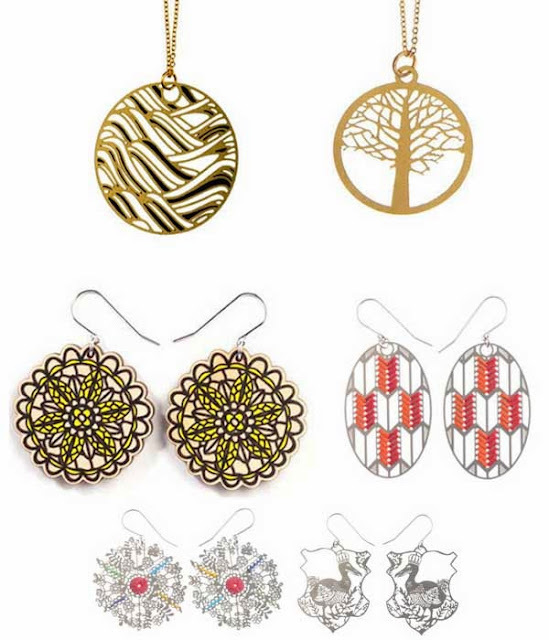 But what is a great sustainable fashion garment without some eco bling to go with it? Today I will share with you some of my favourites. First off the rank is an Australian team comprising three girlfriends who operate under the business name Polli – Central to their design ethos is the use of recycled and sustainable materials. They primarily work with recycled stainless steel, which they cut into beautiful intricate earrings and pendants. Occasionally they partner with local artists to develop a special themed range. 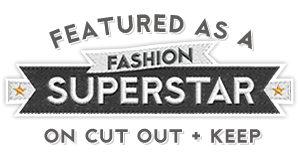 More recently they have introduced a sustainable timber cufflinks and necklaces which have been screen printed and cut in smart geometric patters – sure to add an extra zing to any outfit! Another beautiful jewellery designer is Leeann Mollinari of Verabel Jewelry Studio. She had the amazing fortune of coming across a box load of vintage lockets. She then collaborated with artist Alyson Fox to re-create each piece into a wearable piece of art. 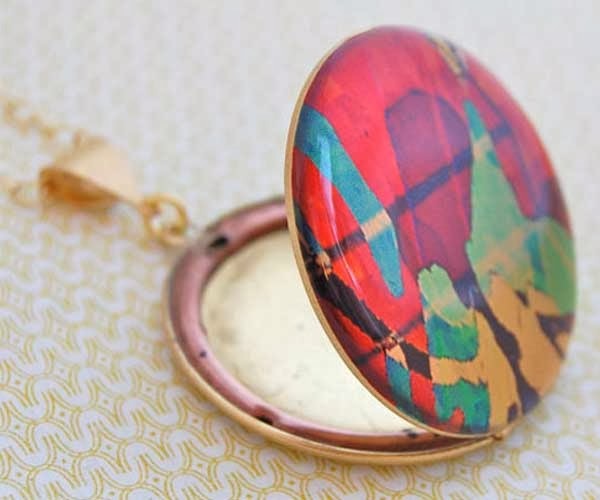 What I love about these lockets other than the striking colourful geometric patters, is that each design is unique - No two pieces are the same. And who doesn’t love the fact you can enclose a photo of your loved one inside the locket to keep close to your heart. Industrial designer Erica Corte will turn your view of bolts and nails on its head. For most of us this is simply contruction hardware. But Erica is one girl who can clearly think outside the box. 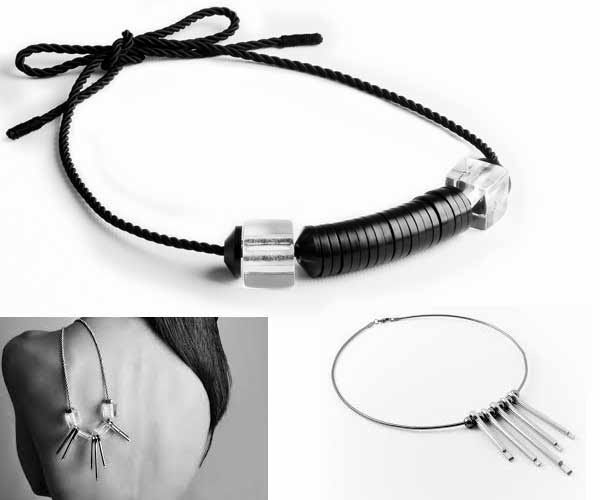 Industrial materials are intertwined with ropes and acrylics to develop modern jewelry worthy of high fashion catwalks. The last amazing recycled jewellery artist may make kids want to reach out and hang on to their lego extra tight. San Francisco Artist Emiko Oye of Reware re-fashions the traditional building block into sculptural bling. 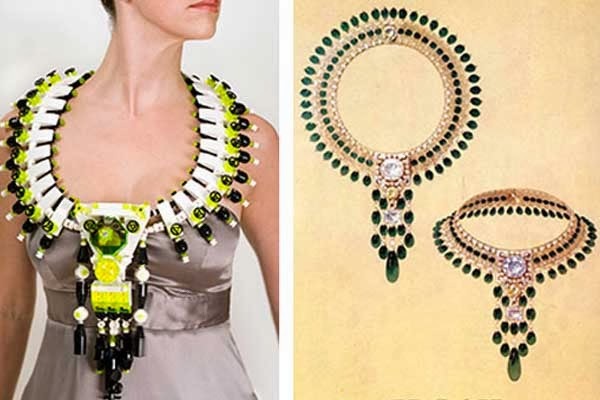 Drawing reference from notable historic high end jewellery designers such as Maison Boucheron, Erica uses lego, and connectix pieces to replicate the design in whimsical fashion – The result is quite amazing don’t you think? What amazing recycled jewellery pieces do you have in your collection? We would love to see them! i have a lot of reused (aka thrifted) jewelery, but not a lot of recycled. my old neighbor makes jewelery and made me a fabulous pair of recycled earrings.